The Courtyard Roseville is a great centrally located hotel in Roseville, California with inspired hospitality in an ideal location. We are conveniently located off of I-80 and close to HWY 65 for a short drive to the historic Sacramento, fabulous shopping at the Westfield Galleria Mall and Fountains Outdoor Shopping Mall, local attractions such as Thunder Valley Casino and The Falls Event Center, and many restaurants. 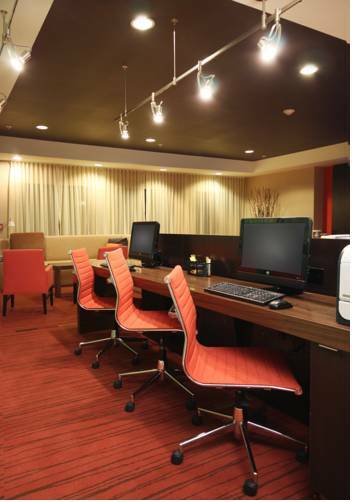 Corporate and business travelers enjoy close proximity to Oracle, HPE, Wells Fargo, Ernst and Young, Adventist Health, Sutter Health, & Kaiser Permanente. Enjoy yourself with a workout in the fitness center, or take a dip in our indoor pool or hot tub. Our Roseville, CA hotel features THE BISTRO where you can grab a hot breakfast every morning as well as seasonal food for grab 'n go snacks or a sit-down meal. Our spacious accommodations feature free Wi-Fi, well-lit work areas with comfortable chairs, luxury bedding, large suites with a separate living area and select rooms with balconies.